In 2017, German companies have spent sagnificantly more on advertising. 44.8 billion and thus a growth of 1.5 percent compared to the previous year, the management consultancy Schickler recently predicted for the local advertising market. This year, there were a number of campaigns that stood out from the crowd and convinced with innovative approaches and creative ideas. Here are our Top 3. What was the idea? 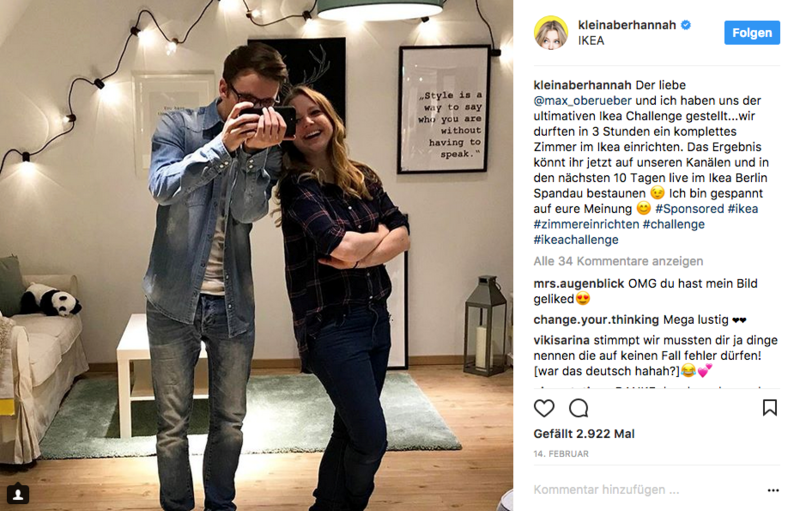 The Swedish furniture giant invited the four YouTuber AlexiBexi, Sara Desideria, Klein aber Hannah and Max Oberüber to the IKEA Challenge. The concept: In teams of two, the influencers should furnish their dream room in one of the furniture stores within three hours. While Ikea scattered the action in various videos on their own YouTube channel, the four testimonials promoted the challenge on their own profiles via YouTube, Instagram and Twitter. In addition, in the course of the production, one YouTuber per team took over the Instagram channel of Ikea and provided a look behind the scenes via Story. Subsequently, users were able to vote on the company's Facebook page for the best equipped room. A summary of the Ikea Challenge is also available one Ikeas own blog hej. What was so special? What is remarkable about this campaign is that the furnishing dinosaur demonstrates how useful an integrative strategy in influencer marketing can be. On the one hand, Ikea relied on four different types of influencers and also paid attention to addressing both women and men. On the other hand, the company played the campaign cleverly via various channels such as YouTube, Facebook, Instagram and its own blog, delivering an almost perfect cross-channel campaign. What was the idea? With the campaign heading "Wunder.Voll", Mondelez marketed its Oreo biscuit brand this year. In addition to classic TV commercials, the company also relied on various out-of-home campaigns. 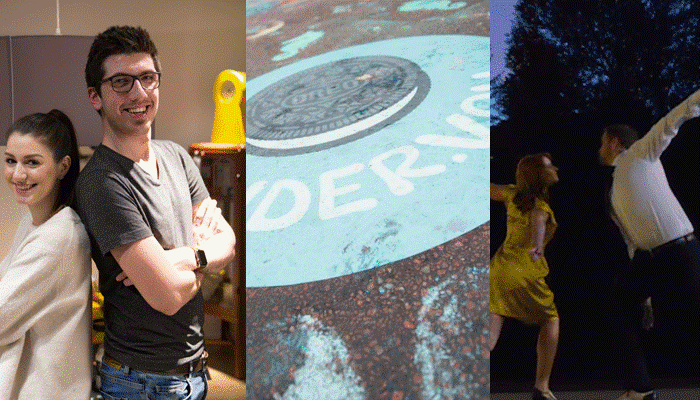 In various German cities such as Hamburg or Berlin, street art artists were activated in a kind of live action to add Oreo art to walls and streets. In the capital, for example, a comic-like scenery of giant octopus and imaginary creatures was created on the 300 square meter façade of the East Side Hotel. A few months after the street art campaign, the Mondelez brand opened its own pop-up store in Berlin Mitte as a further part of the campaign. Here, interested visitors could try out the entire Oreo product world. To raise awareness of the campaign, the company also relied on the support of influencers such as model Fata Hasanovic and Cathy Hummels. What was so special? With the various campaigns, which were intelligently adapted to the visual language of other parts of the campaign, Oreo succeeded in bringing the brand experience close to its own target group. 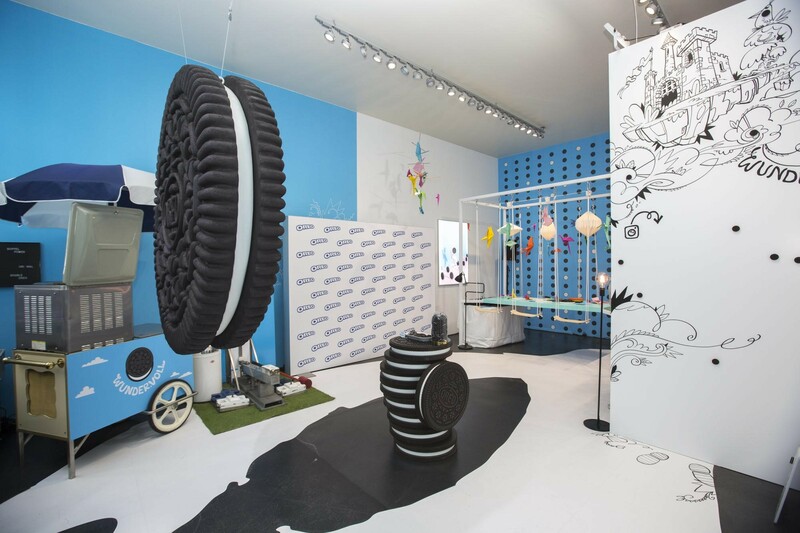 With the pop-up store, Oreo also created a real world experience in the sense of the experiential marketing approach. Over all a very successful and intelligent campaign! What was the idea? In order to hold its own in the current battle of discounters for customer attention, this year Lidl produced a short film commercial that parodies the Hollywood movie "LalaLand". What was so special? The German discount superstar proves that campaigns in 2017 can convince even without a lot of out-of-home budget and influencer use. With creativity, wit and charm, the makers not only take the Oscar-winning film for a ride, but also cleverly take advantage of the opportunity to enter the next round in a permanent medial battle with their rival Edeka. This is what a successful 2017 TV campaign looks like!